AirSept has hired aftermarket marketing specialist Billy Moore as its sales engineer. In the newly created position, Moore will report to AirSept executive vice president Greg McGuinness and assist the company in its national sales efforts through distribution channels and in its work with end users. 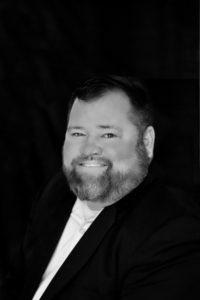 Before joining AirSept, Moore spent more than 10 years at Pinnacle Marketing, a manufacturers’ representatives firm serving the industrial components industry. Moore was responsible for the growth and retention of OEM customers in Georgia. He received the Pinnacle Marketing Sales Rep of the Year award for 2013-2014 and the Sager Manufacturer Representative of the Year award in 2013. Moore’s automotive aftermarket experience includes more than two years as an automotive sales representative for Maxxis Tires in Suwanee, Georgia and two years as the general manager for Bridgestone Firestone in Norcross, Georgia. His experience also includes five years as a product specialist for Makita Power Tools in Duluth, Georgia. In 1989 AirSept created a long-lasting solution to the problem of unwanted mold and mildew odor in automobile air conditioning systems. The product quickly became popular and in 1991 AirSept provides OEM and aftermarket solutions for complex automotive repair problems.